Luc Donckerwolke's office at the Hyundai Research and Design center outside of Seoul looks like an Apple store, all polished concrete, metal and glass and a Miesian lack of ornamentation. This makes sense in an environment in which Donckerwolke, as head of design for the Hyundai and Genesis brands, is attempting to privilege transparency: enhancing communication and accessibility. "We have to break this kind of castle syndrome that the designers are in," Donckerwolke says. "It's all about opening up." This undermining of Korea's traditional orchestrated, hierarchical and executory structure is part of what has allowed Donckerwolke to create widely admired concepts such as the GV80 SUV and Essentia electric GT in just more than two years since he arrived from the VW Group leading design at Bentley, Lamborghini and Audi. And also to design the all-new G70 sport sedan that will be introduced to the U.S. market later this summer. We drove the G70 just before arriving for an exclusive one-on-one at Donckerwolke's R&D office, the first American journalists to visit. Although our time behind the wheel was brief, and we drove only the top-of-the-line, 365-horsepower, twin-turbocharged V6 version, we were impressed with the acceleration, the balance and the material quality. We also noted that the G70 is very good looking, with a distinctive, muscular and aggressive mien that feels true to the company's mission to be at once "Audacious, Progressive and Distinctly Korean." Like much of what we saw and experienced in contemporary Seoul, the car hosts a unique blend of influences from America, Europe and Asia while offering a harmony of line and a grounded sense of self that seems endemic to the peninsula. This global-but-flavored template is intentional. "We are not going to do Korean cartoons on wheels," Donckerwolke says. "We're not going to become a patriotic Korean movement. It's only about the essence of the Korean culture that we are using as an inspiration." One thing we could not help but notice is that the G70 is a sedan, joining a pair of older, Hyundai-based sedans, the G80 and G90, to complete the Genesis lineup. This feels somewhat inauspicious in the moment, especially for the American market where two-thirds of new-vehicle purchases are trucks and SUVs. "As you probably have seen when you've been driving around, sedans are extremely demanded here in Korea. And, you know, we have a huge market penetration here. Korea is a really important market for us. So, you see, it was logical for us to build upon that," Donckerwolke says. "But we know SUVs are big and coming. Sedans are losing track. People want a different typology of cars." 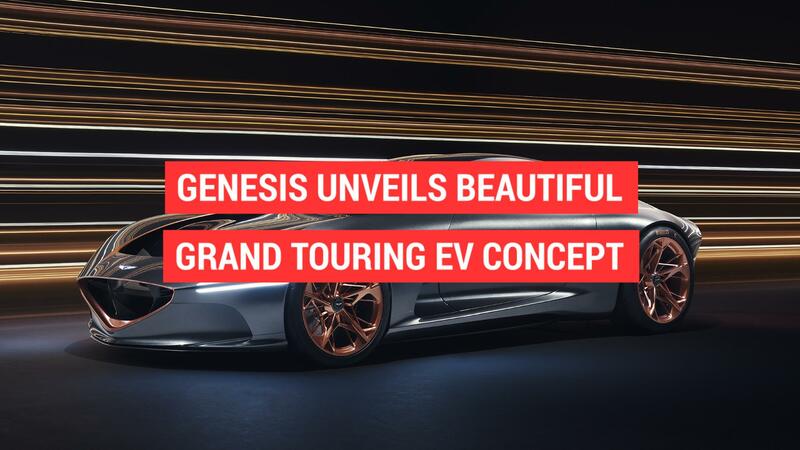 Genesis has confirmed that it will be producing two SUVs, a bigger, statelier one and a smaller, sportier one. This isn't news. It's de rigueur for the category—although, if we consider competitors such as Mercedes-Benz, BMW and Audi, another half-dozen variants would also seem requisite. This isn't to say that Genesis isn't planning these as well, but, as dominant as is the current allure of the crossover, Donckerwolke seems more interested in what happens after its time on the trend scale crests. "There is something else which is coming, which everybody's working on," he says. "It is the post-SUV." With the 5 inches of additional height required to include a battery pack in the floor, the wider adoption of electric vehicles makes sedan design increasingly untenable. SUVs can better mask this additional elevation because of their intrinsic mass, but their increased weight and decreased aerodynamics lead to greater road and rolling noise, and decreased range. "Electrification is going to kill the sedans due to the package of the batteries. And it's going to create some problems in SUVs," Donckerwolke says. "So, there is a post-SUV phase coming." Donckerwolke won't tell us what Genesis' plan is for negotiating this imminent change. But he does envision liberation in the design and engineering advances of our evanescent future. With the broader adoption of electric powertrains, the advent of manufacturing utilizing 3D printing and the necessity of bringing into the automotive sphere consumers who have lost interest in the utilitarian functionality of contemporary vehicles, he envisions a diversification in the available automotive templates. "For me, the big chance I see with 3D printing is the chance of reducing the time and cost of production, in order to reduce the amortization. If we achieve that, and we have basically an investment which is half, companies won't have to sell the same car for seven years," he says. "If that happens, I really want to believe that we will have different typologies of cars back on the road again." Predictions of the future are almost always wrong. But from Donckerwolke's crystal ball (well, cube) of an office, our vehicular destiny feels slightly less hideous and pod-shaped. "We are destabilizing. We are disrupting," he says. He gestures, abstractly, toward the G70 and the forthcoming models that will complete the Genesis lineup. "That generation is done for me. I'm working on the next one."